← Lima, Peru: Worst Traffic Ever? 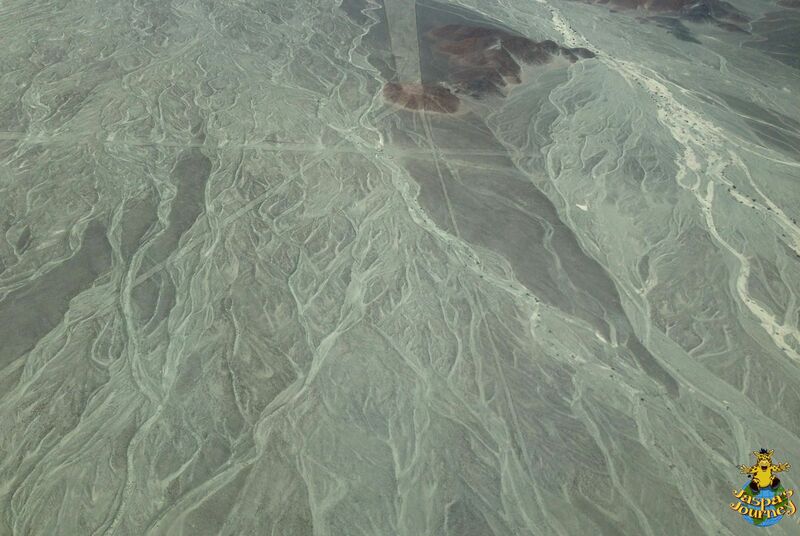 Early pilots began telling tales of strange lines criss-crossing the desert in the area. Some of them had been mistaken for trails by the Spanish back in the 1500s. But its only when seen from the air that the true extent of these lines becomes apparent. Which sounds like a great excuse to go flying to me! 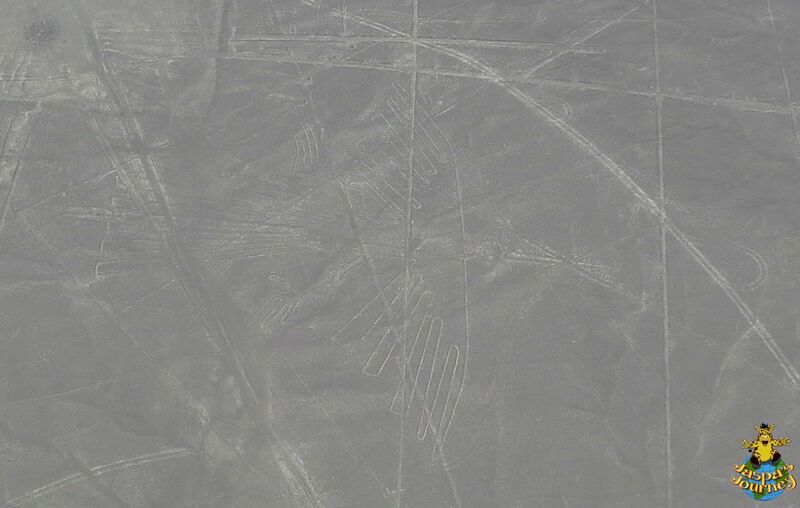 To date over a thousand ‘lines’ have been identified. In addition, there are numerous geometrical shapes, such as triangles and trapezoids. 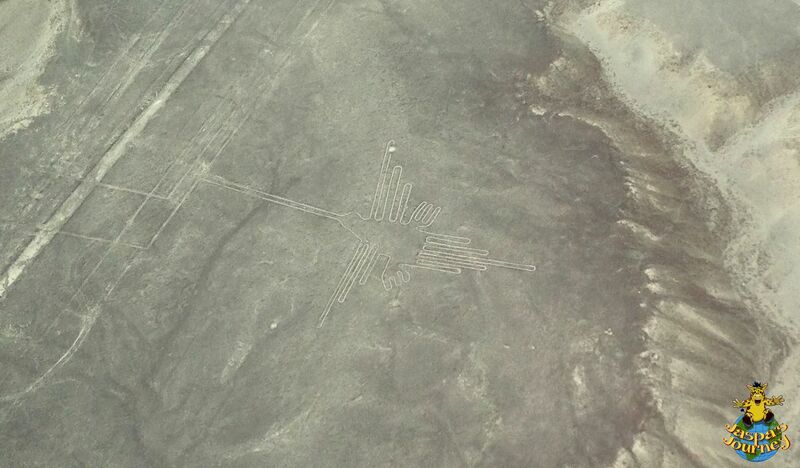 The Nazca Lines also include over 70 representations of manmade objects, animals and plants. Couldn’t see the whale before? How about now? 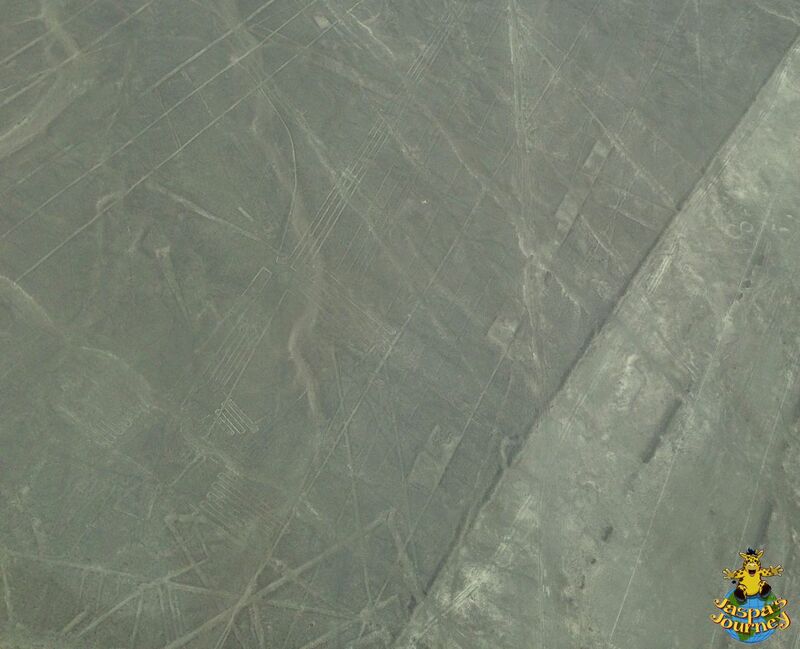 Technically, the Nazca Lines are ‘geoglyphs’, large artificial designs on the surface of the Earth. 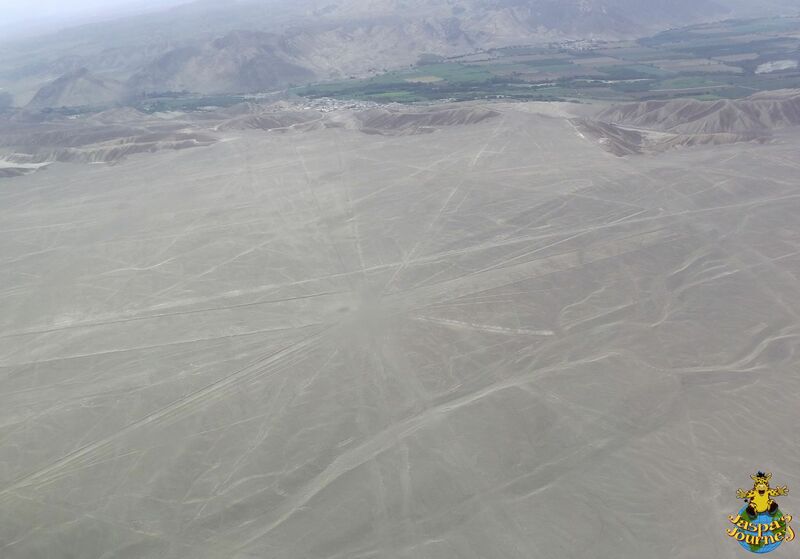 Most of the lines were produced by the Nazca culture between 200 BC and 500 AD, although archaeologists believe some date as far back as 500 BC. The majority were created by scraping away the dark-stained desert surface to a depth of about 8-12 inches, to reveal the lighter-coloured rock beneath. 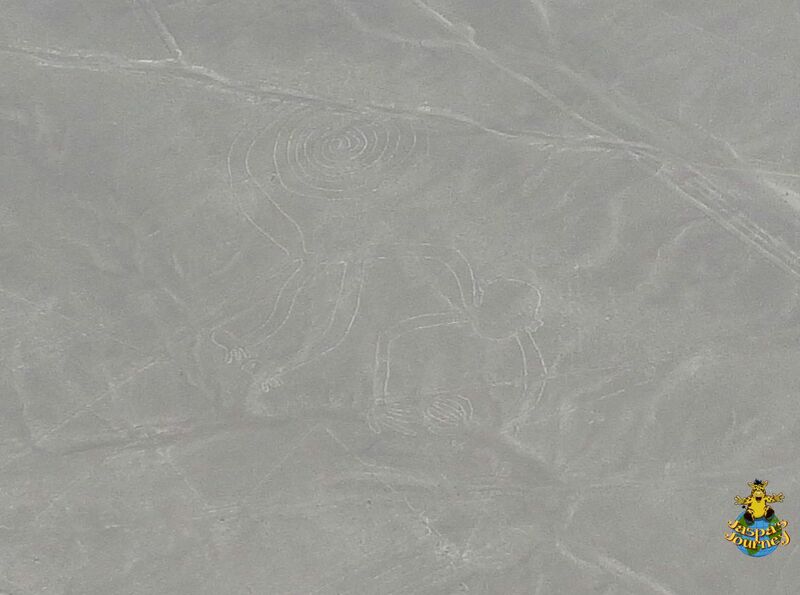 Although exceptionally delicate, environmentally speaking, the Nazca Lines have survived so long thanks to the extremely arid conditions that characterise this area of Peru. It’s no overstatement to say it hardly ever rains here. 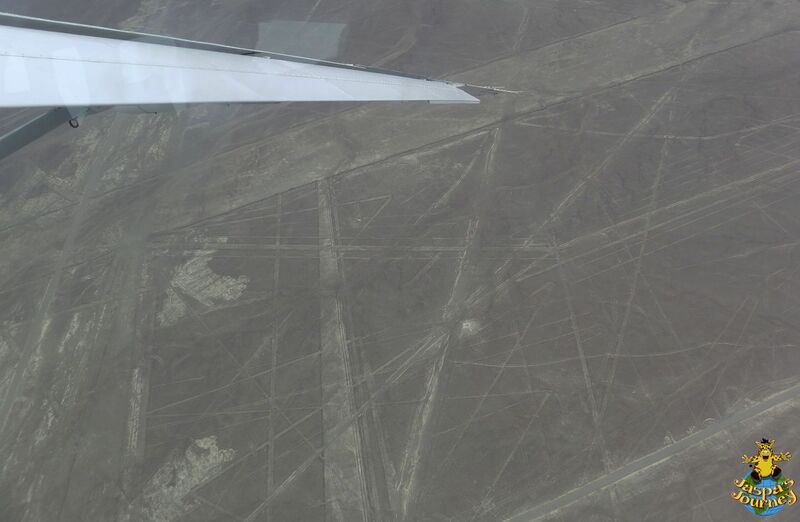 If it did, the lines would have been washed away centuries ago. 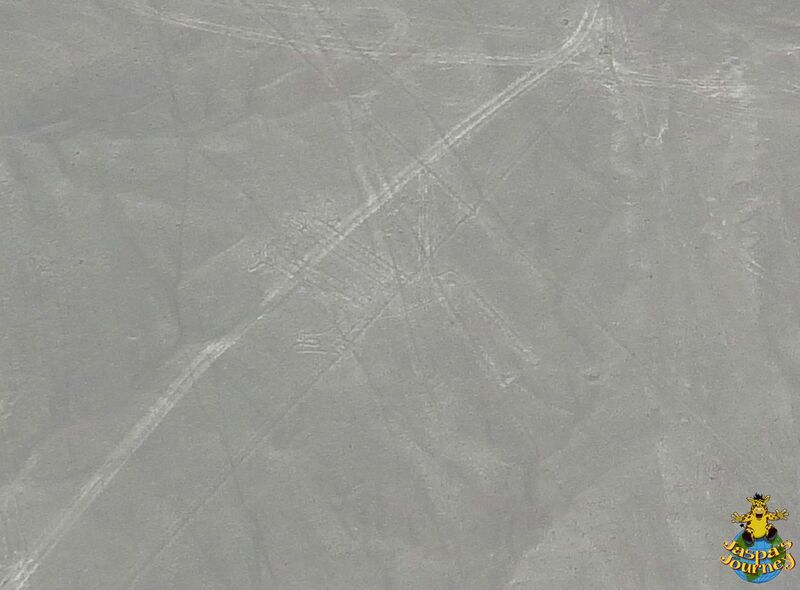 Of course, the main questions asked about the enigmatic Nazca Lines is why a pre-historic culture would go to such extremes to create enormous designs only visible from the air? Our guide in Lima, Vanessa, told us that somewhere between 20 and 30 different theories have been proposed over the years. 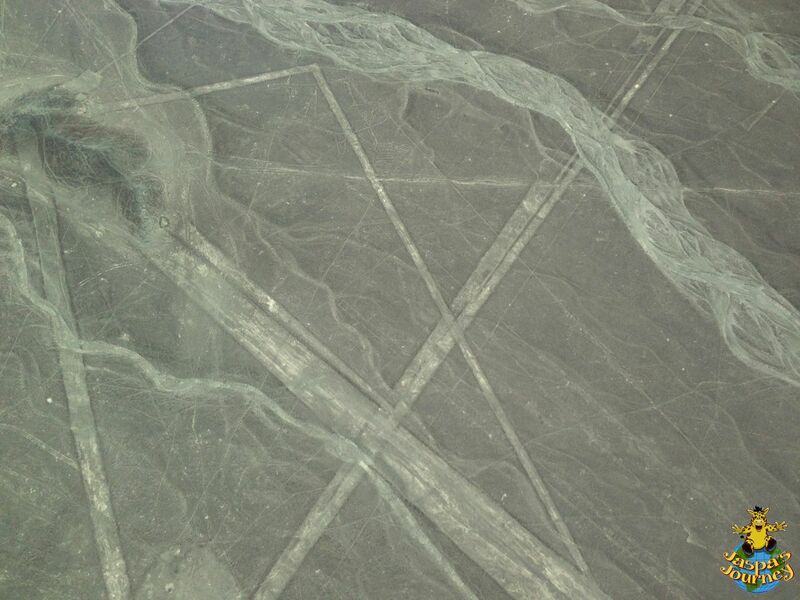 Some scientists have suggested the Nazca Lines represent a huge calendar, although recent studies have shown that only some of the lines relate to astronomical features. 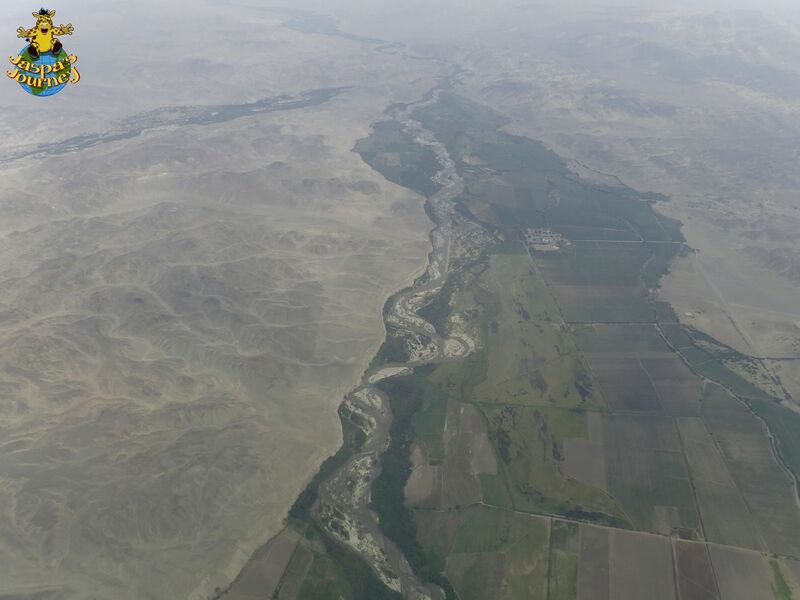 Several of the more plausible theories relate to water, a crucial resource in the desert. 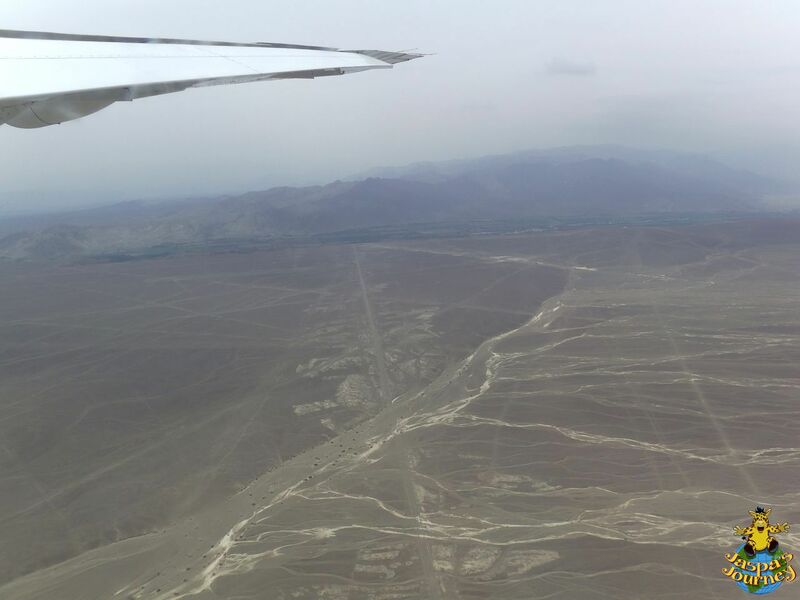 It’s been demonstrated that many of the lines point towards valleys and other water sources. 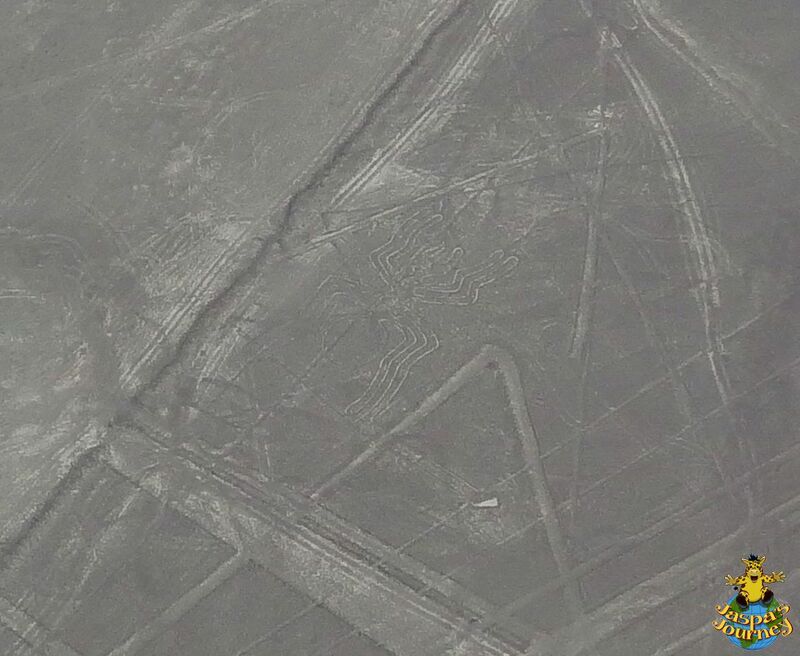 More fancifully, some people believe that the lines and images were influenced by spacemen! 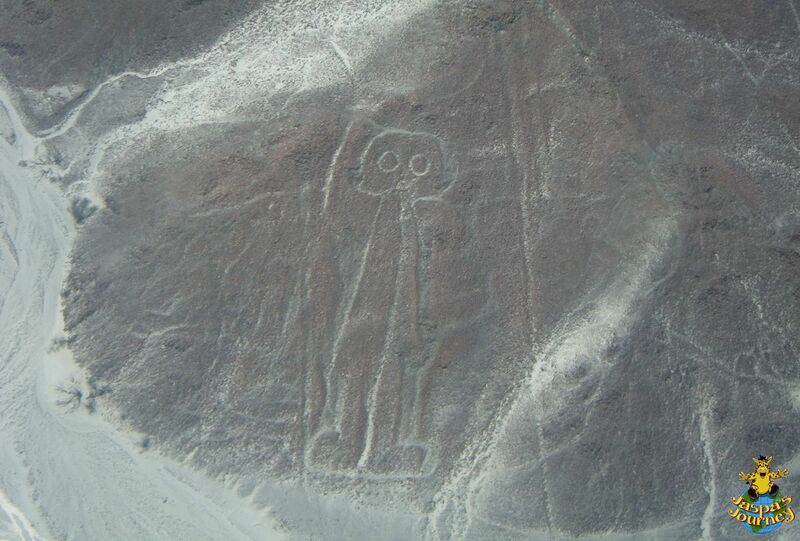 Or perhaps the Nazca people were just sending messages to their gods. 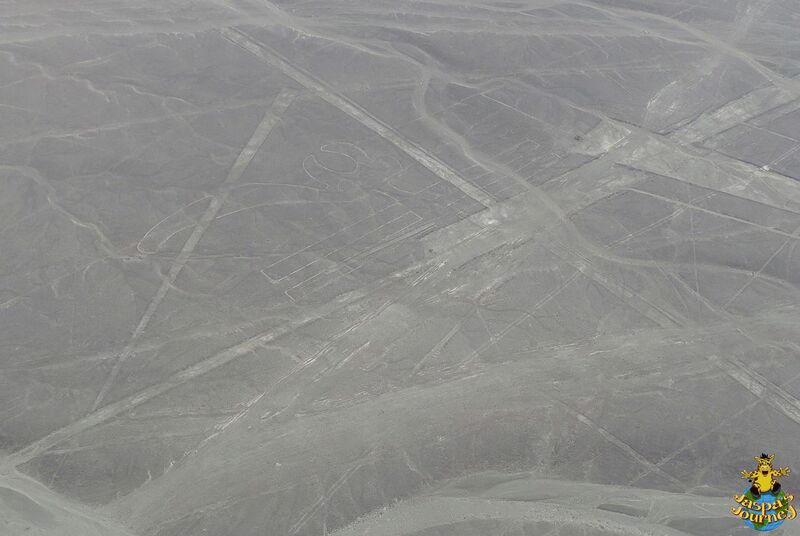 Whatever their purpose, and whether or not we ever discover it, the Nazca Lines are truly remarkable. 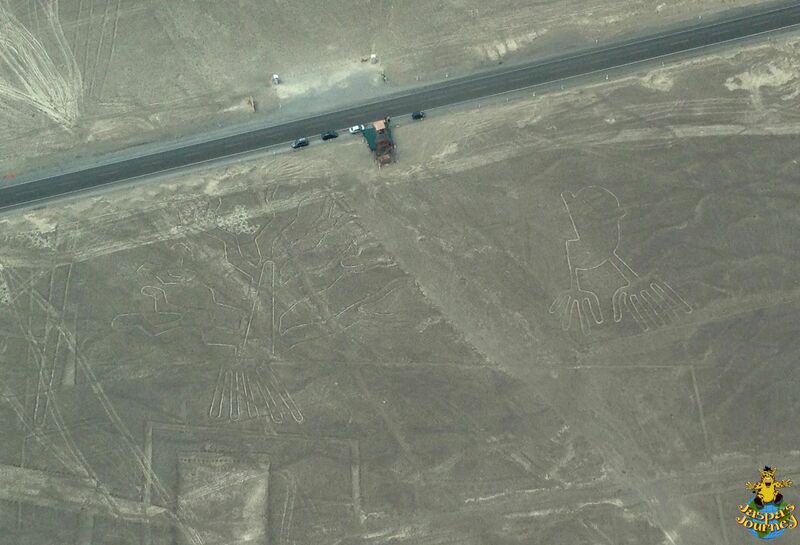 They represent the World’s largest and most diverse collection of prehistoric geoglyphs. 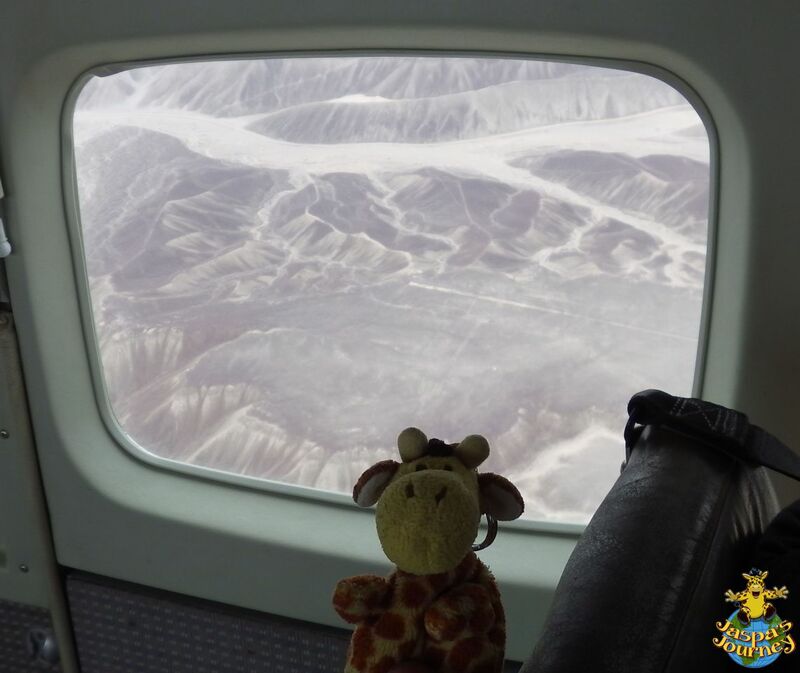 Unsurprisingly, UNESCO declared an area covering approximately 175 square miles a World Heritage Site in 1994. The Spider is about 150 feet long… ugh! This post was inspired by the photo theme Intricate from Krista (of the Daily Post) and, given we’re in a desert, also by the themes Arid from Sue (of A Word In Your Ear) and Sun from Jennifer Nichole Wells. Our awe-inspiring day, which began with an incredible boat ride out to the Ballestas Islands, Peru’s answer to the Galapagos, was arranged with the help of our friends at Adios Adventure Travel. 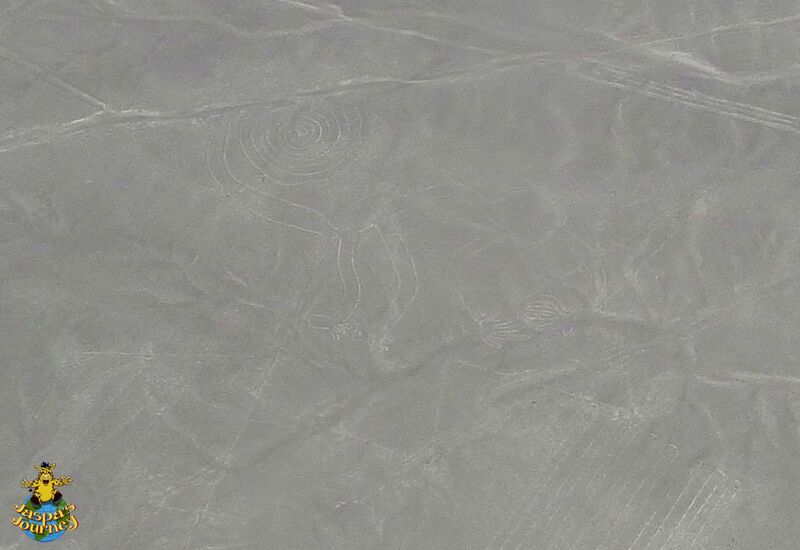 If you’re like me and are fascinated by the Nazca Lines and such things, why not sign up and follow my continuing Journeys here at Jaspa’s Journal (on WordPress or Bloglovin’), or through my website, Facebook, Twitter, Instagram and Tumblr? 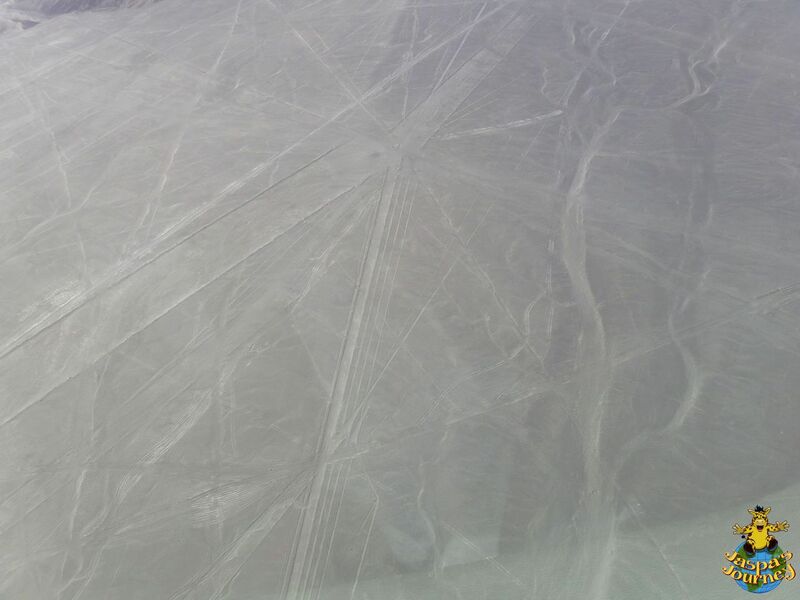 This entry was posted in Adventure, Environment, History, Jaspa's Journey, South America, Travel and tagged A Word A Week Photograph Challenge: Arid, Nazca Lines, One Word Photo Challenge: Sun, Peru, Weekly Photo Challenge: Intricate. Bookmark the permalink. Those are incredible! 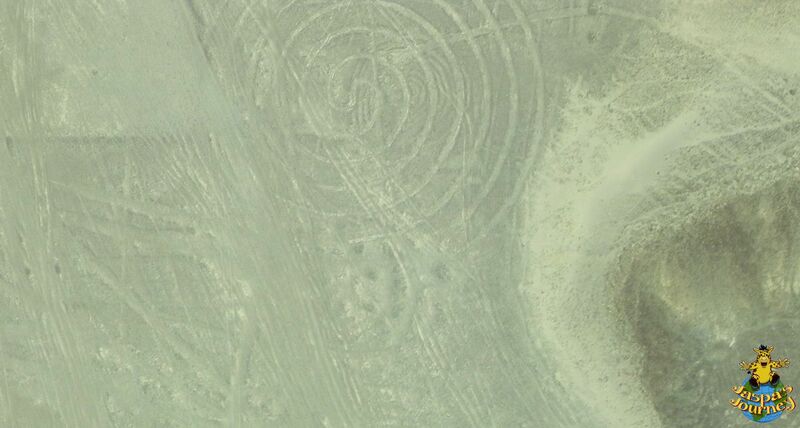 I like the spiral the best and think that must have been the most difficult to make. Great post. 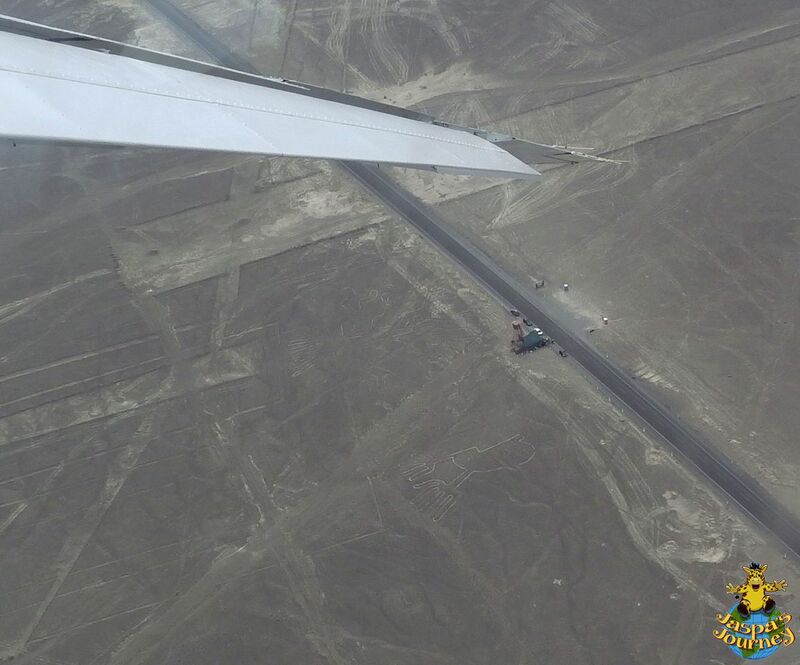 Amazing to have been able to see them from a bird’s eye view. It’s the only way, Debbie! Amazing! How could they have worked out the patterns so accurately with no external view point? One theory is they drew the images on a small grid and then made the full-sized versions using larger grid, but I’ve no idea if that’s true. It’s a fascinating post and must be incredible to see! We are headed to Peru in about 5 weeks to do some cycling and hiking. 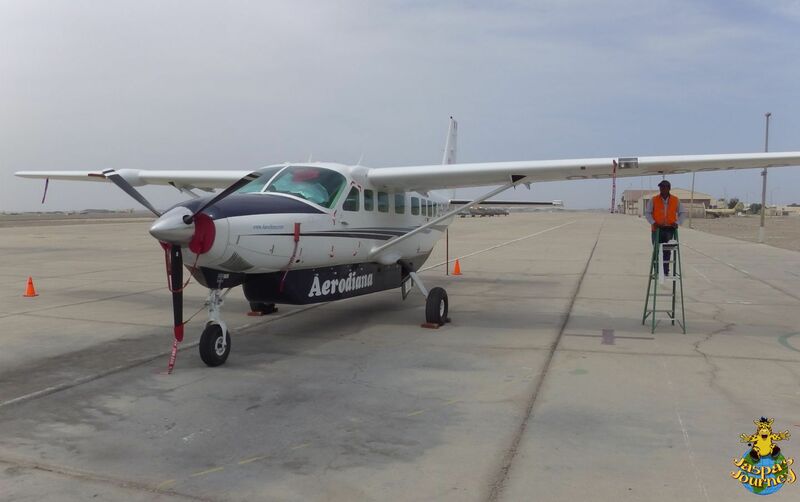 Did you have any issues with the altitude? 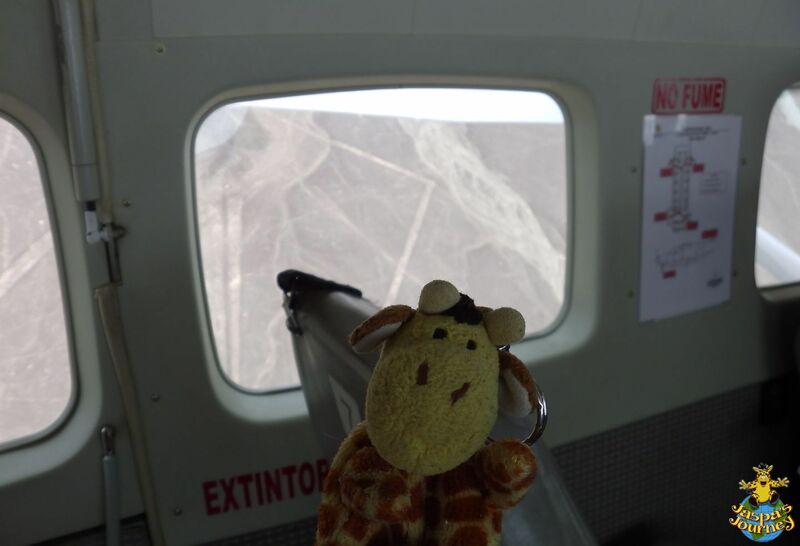 To be honest, we didn’t get to altitude in Peru. And although we did get up into the Andes in Chile (including the Aconcagua Valley beneath the highest peak in all the Americas), we retuned to the more reasonable altitudes of Santiago each evening. Hope you don’t need them! These are so intriguing. 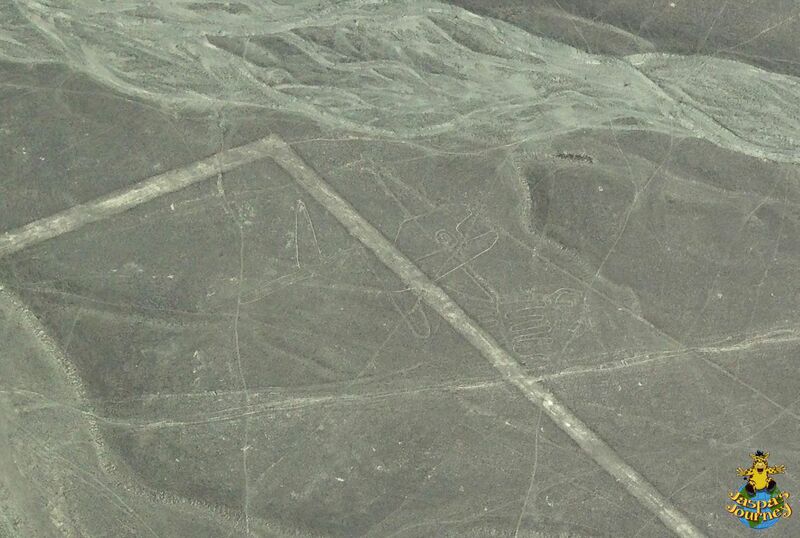 I’d never heard of the Nazca lines before. So glad I have now. Glad you enjoyed it, Jennifer. Awesome! Very jealous of this little flight. It was pretty special, that’s for sure. So very cool! 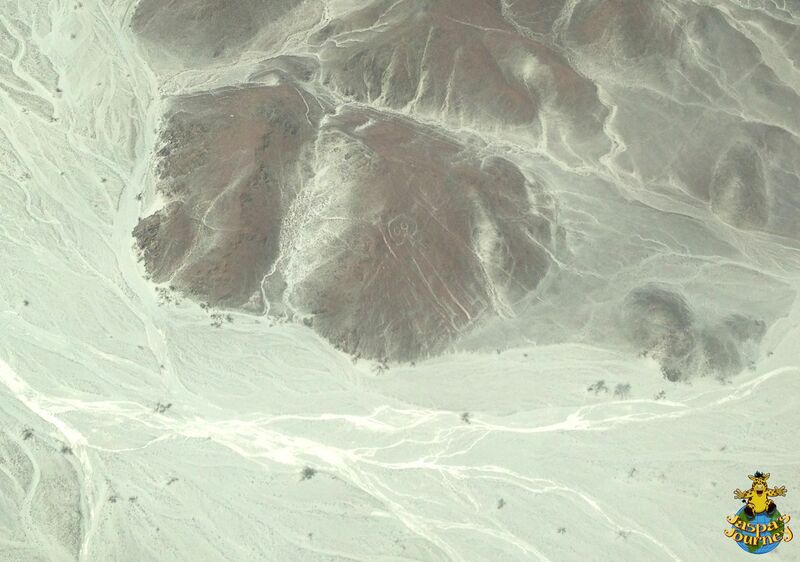 I think I will have to do some speculating of my own as to how the lines got there. I’d be fascinated to hear your theories, Sarah. Perhaps they’re dog runs! They would be awesome dog runs! Choppy would certainly be happy to test that theory out! Thanks for linking to my page!